About | Kirk NationaLease Co. Platinum Award Winning Service For Your Truck & Trailer! We are a privately owned fleet solutions company, specializing in truck, trailer, and bus repair/leasing. What started in 1969 as a single location at our Sidney, Ohio headquarters, has grown to 24 locations in 9 states. Our dedication to putting our valued customers first has helped make this possible. 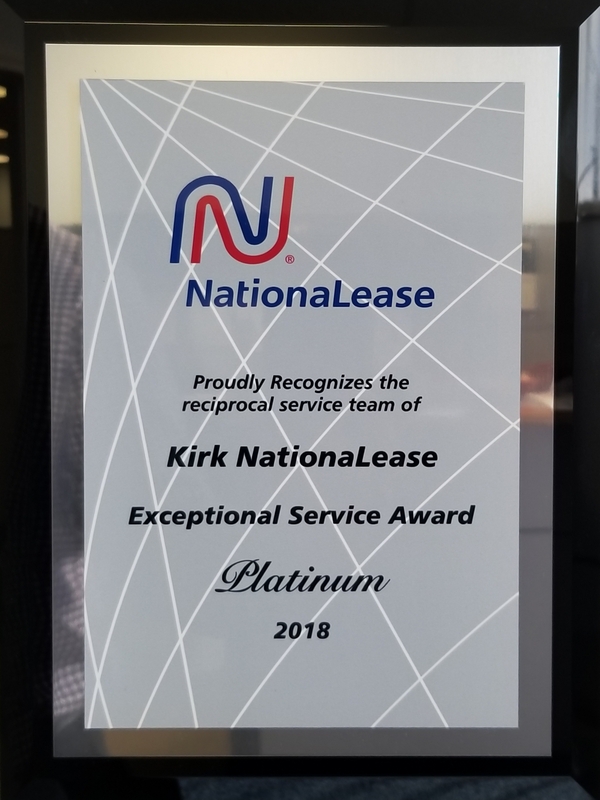 Here at Kirk NationaLease Co., we feel our strongest attribute is our willingness to consult, customize, and deliver unique solutions to the real-world challenges our client’s face. Our expertise and accessibility, coupled with our NationaLease affiliation helps us deliver our high-level of service anywhere in the United States.